As a vegetarian (and also a traveler) I often am asked how I survive. This question never comes lightly. Instead it is spewed out of thin lips, wide eyes and eyebrows shot up so far into the forehead that it’s unclear where the eyebrows end and a hairline begins. “But how on earth do you survive?” The exasperated person lets out a gaspy laugh. What they mean to ask me is, “What are your vegetarian options while traveling?” I mean, that’s what I think they’re asking. To be clear: it’s not difficult. Also, to be clear: being vegetarian does not necessarily mean ‘healthy’. I’ve been an unhealthy vegetarian and also the healthy kind. What I have found as I have crossed two continents and a dozen countries is that the easiest way to eat, of all, is as a healthy vegetarian. In fact, a lot of locals in the villages I’ve visited already do it without really intending to. So, here are my reasons (and ways) for eating healthy while traveling. This should come as no surprise but it really is worth mentioning. Fruits and vegetables are so ridiculously cheap that a lot of backpackers actually joke that they are losing weight because all they can afford to eat is fruits and vegetables! Street food is cheap, too, and definitely makes an appearance in my diet but is not quite as quick and easy as the classic fruit and veggie mix. Instead, I search for the cup full of fresh mango and papaya or a fresh grilled corn stick to snack on at fairs and markets. It’s cheap, easy, and healthy, plain and simple. Besides the fact that they are cheap, fruits and vegetables are also in any place imaginable. I traveled through all of Central America and a portion of South America over this past year and what I found to be the common denominator in every single region I visited was that fruit is always sold on the street and people love to dance. So when you are traveling and trying to make healthy choices it really is not that difficult to find what you need. Whether I was crossing the desert terrain in Nicaragua or the jungles in Colombia I could always count on a vendor boarding the bus to sell mango or a cart on the side of the road to have a fresh coconut. Fruits and vegetables are literally everywhere. There is a reason that fruits and vegetables are so abundant and so cheap: they grow like weeds! The people in these countries may face some serious economical issues but they certainly don’t have a shortage of fruit. Mangos are shared by the bag full and coconuts fall from the sky (or the palm tree). The proximity to the equator and the never-ending humidity means that virtually anything can grow and thrive in these parts of the world. As someone that is constantly on the quest for a veggie-centric diet this means that it really isn’t all that difficult to accomplish. Lastly, and what I believe to be the most surprising, is that it is so engrained in the cultures here. Fruit smoothies are made to accompany your lunch and herb tea is made as a social activity. Fresh fish is always available in most regions that I’ve visited and beans and rice are truly a classic that in a pinch don’t have to destroy your diet. People in Latin America have embraced the abundance of fruit and woven it into everything they do. A light and easy snack or a fresh meal is naturally a part of the culture. 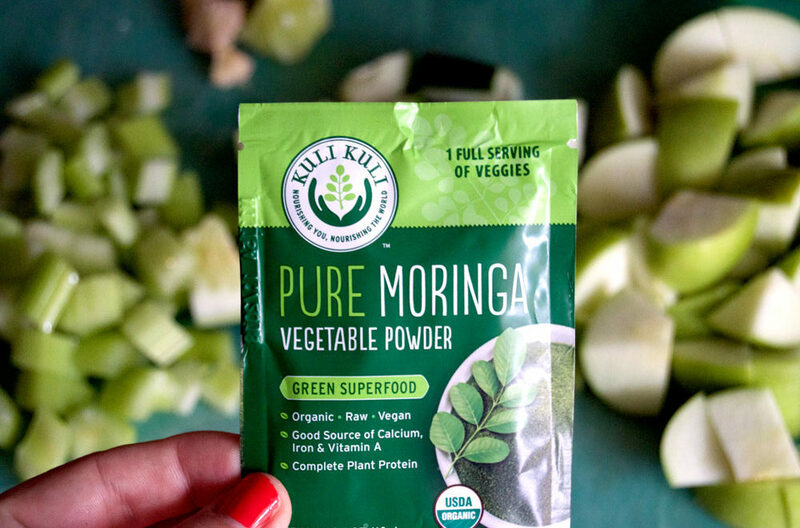 For me, this makes it super easy to add a packet of Kuli Kuli Pure Moringa Vegetable Powder into my morning smoothies or take a moringa shot with me on the long bus ride. This is what I have found on my travels and I suspect that a lot of popular travel destinations offer the same. It is true that street food isn’t always healthy (uh, hello greasy papusa) but that doesn’t mean that I can’t eat it. Of course I eat street food! I also eat home-cooked meals made my loving mothers that use too much oil but you know what? That experience is healthy too and I always pair it with healthy choices throughout the week. What is even better is that all this fruit and smoothies make it incredibly easy to sprinkle in some moringa powder, too! So grab your little packets of Kuli Kuli moringa and a few coins because traveling and eating healthy is a stress free, natural way of life down here. Happy traveling! Marquis Matson is a freelance blogger who is passionate about food, hiking and Latin America. She is currently in Ecuador, where she now lives as a writer and explorer, after a year long backpacking trip through Central America. She earned her Masters degree in Marriage and Family Therapy and had previously worked in Higher Education until pursuing her latest adventures. She has been a raw vegan for five years and enjoys a simple and slow lifestyle.